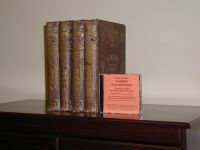 with Whelan's York City and the North Riding (1857 and 1859) and Whelan's Claro wapentake (1871) and Langdale's 1822 Topographical Dictionary of Yorkshire on CD Rom. Delivered FREE anywhere in the world direct from the supplier. This CD rom contains the scanned images of the 6 books shown above, a total of over 3,800 pages. All of the books are machine searchable. To buy these books (including the 2 scarce Claro Wapentake volumes) will cost you upwards of £400, so all of these on a CD for £15 represents extemely good value for money. The 1890 version of this book covers the whole of the North Riding. The 1891 edition (volume 2) is identical to the back half of the 1890 edition (even down to the page numbers), but contains additionally the information for the Claro wapentake (West Riding). This CD contains the whole of the 1890 edition plus all the non-duplicated pages from the 1891 edition, and is presented to the user as a single book. The format of the two Bulmer's books is a fairly standard "History and Directory" format, with the Histories being more detailed than the equivalent White's/Pigot's/Baines' (but see Whellans North Yorks below). The 1890 book has some 1176 pages plus a few advertisements, and the 1891 book starts at page 637 (of the 1890 edition) and continues up from 1177 to 1238 to cover the Claro Wapentake. The particular volume of Bulmer's 1890 also includes the coloured map of the North Riding (which is normally missing) - a scan of this is included. Most of the Directory of Trades and Professions sections (roughly equivalent of todays Yellow Pages) are divided into "Farmers" and "others". The larger towns however (e.g. Scarborough and Middlesbrough) have both alphabetic by surname and alphabetic by trade/profession - the same names do not always occur in both for some reason. Both books have a comprehensive index of places and both sets of pages for these are included on the CDrom, as are the indexes for the Subjects, Persons and Families. These books give a fairly detailed history for the City of York and the North Riding of Yorkshire with a good index. 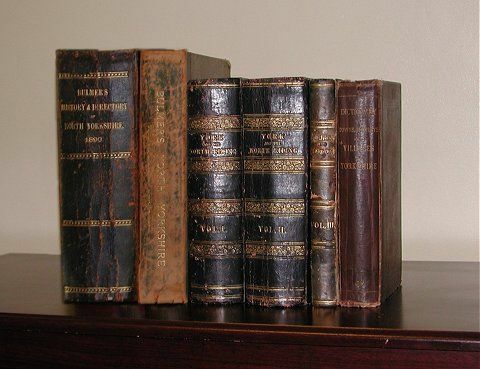 Unlike Bulmer's North Yorkshire, these volumes contain no directories of trades and professions, but the historical and topographical information is more detailed and contains many references to people by name. Yvonne Clarke said about the book/CD: I found the CD very easy to use and particularly found the navigation very simple. I like the system of having the contents down the side so that you can go straight to where you want and also see what it contains, without paging through the whole thing. It's the first time I've come across Whelan's and I was very impressed with the amount of detail given about each place and thought it compared favourably with Bulmer's which I have always considered the best. The contents of these 3 volumes is given below, along with hyper-links to the indexes for each of the volumes. The quality of the printing of this book is anything but good in some places and should really be scanned in colour photographic mode. However to do this requires two CD roms for this book alone due to the resulting files being so large, so it is presented to you as black and white with every page being readable but the text not being as good as I would have liked it to have been. Villages, hamlets and some single houses. Note: There is a mention of 'Metcalfe Family' in the index. Click here to view a transcription of the Bulmer's Index.